Visit us today at QuartoKnows.com! Over at the new Craftside blog there is a great list of 21 Christmas Craft projects collected from the past years. Pop on over to new home of Craftside for 21 Thanksgiving crafts. It will still be the same fun and fabulous inside peeks into our crafty world, we are just moving! Please subscribe to our new feed so you don't miss any of our Crafty goodness! But on this subject of traveling on to another address out on the world wide web I thought it fitting to share a book that is all about travel, specifically London. Do you like to sketch the places and things around you? Well, the Citysketch books are filled with drawing prompts form all over the city. This one about Liberty fabric happens to be one of my personal favorites from Citysketch London: Nearly 100 Creative Prompts for Sketching the City on the Thames. Oscar Wilde once described the Liberty department store as “the chosen resort of the artistic shopper,” and it’s not difficult to see why. Housed in an elaborate multi-story mock-Tudor building, Liberty is a treasure trove of art objects from around the world, high fashion, and, of course, those famous Liberty print fabrics. pattern of this 1933 Wiltshire print from Liberty. Doodle your way through the capital city of England with Citysketch London. Featuring over 100 creative prompts, you can sketch your own masterpieces of Big Ben, The London Eye, or Westminster Abbey. Citysketch London includes drawing lessons on fashion, history, and landmarks allowing you to immerse yourself in the local culture. Great for both beginners and experts, partially created prompts allow any level of artist to get started. Add your own details to create the London of your dreams. All you need is a pencil, paper, and some creativity. Joanne Shurvell is an award-winning travel and arts writer. She is also the owner of PayneShurvell, a contemporary art gallery in London. Monica Meehan is a freelance writer and author of The Viennese Kitchen: Tante Hertha’s Book of Family Recipes. Originally from Canada, Monica works in publishing and divides her time between New York and London. Monica is an avid traveler, cook, and people-watcher. Melissa Wood is an illustrator and architectural planner. Her client list includes Crate & Barrel, Trader Joe's, Neiman Marcus Direct, Nordstrom's, Kate's Paperie, John Grisham, George Lucas, a Hilton heiress, and Oprah Winfrey - just to name a few. Now onto the inside peek, this time from the book Shooting with Soul: 44 Photography Exercises Exploring Life, Beauty and Self-Expression. We all window shop, right? Why not turn it into a photo op and try taking some interesting shots of store windows and the reflections you can catch using these tips from the book Shooting with Soul. 1. When shooting a window display or storefront, you can choose to include or avoid reflections. 2. To avoid reflections, shoot within shadowed areas (even using your own shadow projected onto the glass), shoot at an angle of 45 degrees to the window, shoot through a hole on black cardboard or fabric, or place your camera right against the glass. You can also shoot at night if the window’s interior is well illuminated. 3. When including reflections, make sure they do not compete with the focal point. Use reflections for an artistic look and to highlight or frame your subjects. • Use a polarizing filter to remove or reduce reflections. Place this magic filter on your lens and slowly rotate the filter until the reflections and glare are gone. The results are astounding! • Make sure that your flash is off to avoid additional glare. • Photograph seasonal window decorations. • Picture a live window display. • Shoot the front window of a restaurant, bakery, or café. Shooting with Soul: 44 Photography Exercises Exploring Life, Beauty and Self-Expression - From film to Smartphones, capture images using cameras from yesterday and today. Shooting with Soul is glorious and beautiful book for anyone who loves to take pictures. Whether you are an aspirational photographer, artist, creative mom, or blogger, you will enjoy expanding your understanding of this medium by exploring 44 weeks of unique and reflective prompts and exercises aimed to demystify seemingly “techie” topics and enhance your creative self-expression. No matter what camera you own, an SLR, point and shoot, or even a camera phone, this book offers tips and methods for any device that snaps a photo. New technology is making it easier to share photography, and interest in photos is being fueled by the popularity of photo-based apps and social networking sites such as Pinterest, Instagram, Hipstamatic, Flickr, and tumblr blogs. Sharing photos with friends and family has become as easy as pushing a button, however, finding the right photos to take and coming up with creative concepts for jaw-dropping photos remains something that needs to be explored and fostered. Shooting with Soul teaches successful photography methods through an approach that is very much like journaling. By putting deep thought and feeling into the process, and into the exercises, which focus on personal exploration and autobiographical information, you will become able to create images that are infused with soul and that connect you with your viewers more deeply, whether they are friends and family, a professional art audience, or followers of a blog or website. She currently lives in San Francisco and splits her time between commercial and editorial photography assignments, teaching workshops at creative retreats, and raising her amazing daughter, who is her biggest creative achievement to date. Alessandra holds a Master in Arts degree from the Savannah College of Art and Design, but she considers herself completely self-taught when it comes to photography. A former contributor to Shutter Sisters, the widely acclaimed photo-blog celebrating women photographers, Alessandra is passionate about inspiring and empowering women to pick up the camera and follow their creative dreams. Her work has been featured extensively around the world-wide-web, as well as in national and international publications, such as: The Beauty of Different, Nine to Five, Artful Blogging, Somerset Studio and Mingle. You can follow her work and journey at www.alessandracave.com. When I got my new copy of The Complete Photo Guide to Jewelry Making, 2nd Edition: More than 700 Large Format Color Photos, I spotted the page featuring the hole drilling tool and thought it looked like a really cool thing to try. Well, as luck would have it, I was in a discount store and spotted one... that I, of course, immediately got! I was with a friend, and she said she used hers to drill holes in pennies. So naturally, I thought that would be the first thing I would try with the new tool. This is the stretch lace bracelet I made with my "2 cents" charms. 1. To use a hole punch tool, first determine where you want the hole in your metal to be located and mark it with an X. 2 Position the X inside the hole punch (on either end of the tool depending on whether the hole should be 1.5 or 2 mm). 3 Turn the hole punch handle until it pierces a hole through the sheet. So now, I had 2 cents with holes in them. You can see where this is going, right? I have been playing around with a bunch of stretch lace ribbon that I scored a swap meet. To make the bracelet, I cut a length of the stretch lace and slipped one end through a large hole Prima Bead. I wrapped the beaded end around the loose end and pulled it back through the large hole bead. Then, I linked my 2 cents to each end of the lace with a jump ring and a charm. The best part is, it is still totally adjustable. Includes step-by-step instructions for all the basics and 45 projects. Tammy Powley is a writer, designer, and teacher. She is the author of several jewelry books, including The CompletePhoto Guide to Jewelry Making; Picture Yourself Creating Metal Clay Jewelry; Jewelry and Beading Designs for Dummies; Making Mixed Media and Memory Jewelry; Making Designer Seed Bead, Stone, and Crystal Jewelry; and Making Designer Bead and Wire Jewelry. 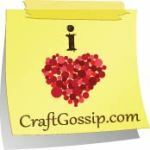 Besides print publications, Tammy writes her own weblog about crafting (Crafty Princess Diaries) at http://www.tammypowley.com. Tammy has studied a large variety of jewelry techniques, from beading to metalsmithing, and has worked extensively with glass, fibers, and paper art. After spending eight years on the art show circuit, she eventually turned to writing about art, though she continues to sell her work through special commissions.